A native of the same region of Alabama that produced the Louvin Brothers, David Davis has for more than three decades built a solid reputation as a devotee and standard bearer for what is generally termed “Monroe-style,” “traditional” bluegrass, but as he points out in the liner notes of this collection of classic American tunes, Bill Monroe’s introduction of the music that eventually came to be known as bluegrass was something of a progressive and radical departure. Throughout the years that he has been leading the Warrior River Boys, Davis has been mindful of charting his own course and developing his own sound without slavishly copying those who came before him. His connection to Monroe, the “Father of Bluegrass,” is more than just as a fan, though – his uncle, Cleo Davis, was the first sideman Monroe hired after splitting with his brother, Charlie Monroe, and forming the Blue Grass Boys. As he and his banjo player, Robert Montgomery, went about producing and recording this sampling of 14 songs from the catalog of Charlie Poole, Davis came to view Poole as the “Grandfather of Bluegrass,” and it’s not a stretch to argue that Poole was the first major star to come out of the chaotic early years of the recorded country music business. By the time the Carter Family and Jimmie Rodgers came on the scene in 1927, Poole and his North Carolina Ramblers had already recorded nearly three dozen sides that remain classics today. Some sold in six figures, and while that may not sound like a lot by modern reckoning, it came during an era when relatively few homes had gramophones, and radio as an entertainment industry was still in its infancy. As with Jimmie Rodgers and later, Hank Williams, Poole’s career was cut short by illness (and again like Hank, by alcohol), and by 1931, he was dead at the age of 39. Probably the biggest challenge facing Davis was choosing which of Poole’s 80-odd songs to apply his own bluegrass sensibilities to. Not a songwriter himself, Poole drew his repertoire largely from the songs that had traditional origins or were written in the 19th century and introduced as sheet music to be played on pianos in parlors across the country. Many, like “One Moonlight Night” and “Goodbye Mary Dear” (both featured here) are sentimental songs which often also include Victorian-era moral messages, while others like “He Rambled” (from which the album title stems) and “If The River Was Whiskey” celebrate the rowdy and vagabond life which was closer to Poole’s own. “May I Sleep In Your Barn Tonight, Mister?” also reflects the common practice in the early decades of the 20th century of “borrowing” popular melodies and adding new lyrics – in this case, “Red River Valley.” Poole’s own voice was reedy and hard-edged, and in sharing the vocal duties and arranging the material for bluegrass, Davis and his band wisely fit things to their own voices and style. It’s all well recorded and in keeping with Davis’ desire to honor the old, but put a fresh slant on it. Charlie Poole may be the most influential country music star that most country fans have never heard of, but all these songs are American standards that owe a lot of their popularity to him. The year of 2014 marks an important milestone in the career of David Davis and the Warrior River Boys. 2014 is their thirty year anniversary as a touring band. Since starting in the fall of 1984, David and the Band have consistantly recorded and toured, travelling well over two million miles, garnering a faithful following of friends and fans through scores of personal appearances, radio and television exposure. They have performed in forty-six states, the Bahamas and all Canadian Provinces at a majority of the largest outdoor festival events and many of the genre’s premier indoor venues. The group’s recorded history has been preserved and distributed by some of the most influential labels in the genre’s history; Rounder, Wango, Time Life and Rebel. David and the Band are preparing for a number of special events and surprises to commemorate their “30th Anniversary Tour”. October 2014 officially marks the thirty year birthday for the band, but the “30th Anniversary Tour” was kicked off in January 2014 and extends through October 2015. Carrying an Alabama tradition and directly linked to the origins of Bluegrass Music, David Davis’ love of traditional roots music grew organically. Back in the 1930’s, his father and two uncles played and sung in the brother style traditions of early Country music. Uncle Cleo joined Bill Monroe as the very first Bluegrass Boy in 1938. David’s father, Leddell, went off to WW11 and lost his right hand in a mortar accident. While his Dad’s dream of making music may have been shattered, he never lost his love and devotion to the music. In fact, David carried his father’s love innocently down the road, never suspecting the impact on his life. David Davis and the Warrior River Boys offer audiences a rare glimpse at the role of frontman in American music. In Chicago Blues, it was Muddy Waters and the legendary Howlin’ Wolf. In Bluegrass music, it was Bill Monroe. Rather than operating under trendy “hit” oriented marketing schemes, frontman / mandolinist David Davis simply nutures his roots with integrity, tonal depth and prose. After a couple of Rounder label projects in the early 90’s, they recorded heavily on Ray Davis’ Wango label throughout the decade and into the early 2000’s. These legendary “Basement Recordings” have garnered a cult following over the years, many sides resurfacing on the Time Life label. David and the band snapped rave reviews with their self-titled 2004 release on Rebel Records- “…. sure-fire picking and train whistle harmonies….” USA TODAY. The “White Album” was indeed a turning point for the band. In a SING OUT magazine review, ‘….An excellent instrumentalist in the Monroe style of mandolin, Davis is among the most emotive, capable and underappreciated singers in Bluegrass….” Their highly acclaimed Rebel release from 2006, “Troubled Times” and 2009’s “Two Dimes And A Nickle” continued to take the listener deeper into WRB soul and offer testimony to the band’s musical evolution. In a 2009 CD review, “…. A David Davis & the Warrior River Boys album sounds like no one else’s. While certainly commercially palatable, Davis occupies a fine niche within the bluegrass market. He doesn’t seem to have the populist appeal of a Skaggs, Cherryholmes, Lawson, or Vincent, but he possesses an artistic vision as defined and assured as any of those mentioned. David Davis albums have a bluesy, literary quality setting them apart from the annual releases of several more commercially successful artists. Witness his 2004 treatment of Bill Grant’s “In The Shade of the Big Buffalo” or “Chancellorsville” and “The River Ran Black” from 2006’s Troubled Times. To give them their proper due, Davis albums should come leather-bound as is afforded the finest classic writing….” “…. Like the best of Johnny Cash’s recorded material, Davis’s songs possess a cinematic scope…. “. “…. fresh, vibrant, and inventive, David and the Band have ideally captured their truly unique approach to bluegrass. A classic recording.”…..Donald Teplyske- THE LONESOME ROAD REVIEW. After nearly thirty years of continual touring and recording, David and the Band have received many laurels, both individually and collectively. A 2010 inductee to the Alabama Bluegrass Music Hall of Fame, David is widely recognized as one of the foremost practitioners of the Monroe mandolin technique. Collectively, David Davis and the Warrior River Boys continue to be at the forefront of defining Traditional music to today’s audience. out fron the pack….” BLUEGRASS UNLIMITED. If you’re intrigued to hear music that inspired many of the first generation artists long before the Big Bang of bluegrass music in December 1945 (or even 1939, with the formation of the Blue Grass Boys), you’ll find this new album from David Davis & The Warrior River Boys to be equally educational and entertaining. Those of you not already familiar with Charlie Poole’s repertoire from the 1920s may be surprised to recognize songs you’ve heard and played in jam sessions over the years. Those who already recognize Poole as the grandfather of bluegrass music – or perhaps American roots music – as Davis does, will be thrilled to hear 14 of his songs performed in a manner both robust and elegant by this fine band. Marty Hays (bass) and David Davis (mandolin) blend vocally like brothers, after singing together for more than 20 years. Robert Montgomery plays banjo, Stan Wilemon plays guitar, and Billy Hurt fiddles up a storm. The varied set list includes story songs and sentimental ballads about mother and lost love, along with raucous, humorous tunes where the banjo sounds like a rollicking honky-tonk piano. Poole collected his songs from Tin Pan Alley, blues standards, old-time, and popular early 20th century music, making them his own. The Warrior River Boys have done the same, injecting their own exuberant energy and heart to make these old songs new again, in the traditional bluegrass style. Highlights include “He Rambled,” “May I Sleep in Your Barn Tonight, Mister?”, “Girl I Left in Sunny Tennessee,” “Goodbye Mary Dear,” “White House Blues,” “Sweet Sunny South” and more. David Davis and the Warrior River Boys benefit from time as they look back at Bluegrass, re-working old time music in real time, infusing new blood into the Songs of Charlie Poole with Didn’t He Ramble. The songs of Charlie Poole were popular from 1925-1930 as he made time-contemporary mountain music with the North Carolina Ramblers, a generation before Bill Monroe officially played Bluegrass for the first time. David Davis and the Warrior River Boys do a lot more than simply dust off the songs as they kick up some dirt with their get-up-and-go take on “Milwaukee Blues”, wistfully sing of home with “Sweet Sunny South”, relate the lives of the mountain people in the cautionary tale “He Rambled”, and lend a thought for seniors with “Old and Only in the Way”. Historically, Didn’t He Ramble: Songs of Charlie Poole shines a light on the day-to-day existence of southern culture as seen through the eyes of those living in the times. Country music origins showcased songs about country people, the backing sound filtered through a wide-variety of musical accompaniment. David Davis and the Warrior River Boys curate as they re-tell the story of Frankie and Johnny with “Leaving Home”, pre-date ‘Hesitation Blues’ with “If the River Was Whiskey”, travel the world with a universal street-corner buskers tale in “Ramblin’ Blues”, and pluck a familiar lovers lament in the melody of “May I Sleep in Your Barn, Mister?”. Charlie Poole could make a case for being at the very roots of country music, and his value to bluegrass can hardly be overstated even if he’s hardly a household name. It makes perfect sense that David Davis and the Warrior River Boys, a long-running act invested in traditional bluegrass and old-time music, would do a tribute album, Didn’t He Ramble: Songs of Charlie Poole. The attempt has a built-in challenge: be true to the originals without being redundant. The group succeeds. It’s a throwback record (there’s nothing new about the grass in these fields), honoring of nearly 100-year-old sounds filtered through a mainline tradition. But it doesn’t bore; the Boys are spry, focusing on the jukier elements of Poole’s sound and highlighting the joy present in the rambles. Though the group could have done more personalizing, they have updated the pieces just enough to sound contemporary. Bluegrass fans looking for the edges of boundaries won’t settle here, but this Piedmont equivalent of crate-digging makes for a nice entry in the conversations about Poole’s legacy. David Davis and the Warrior River Boys have released Didn’t He Ramble: Songs of Charlie Poole (Rounder Records, 2018, $11.99/9;49), a recording of fourteen classic Poole songs from pre-bluegrass era of the 1920’s when Poole became one the earliest country musicians to travel to New York, record, and begin the popularization of music hitherto only known to very few. Poole first recorded in New York in 1925 for Columbia Records, scoring a hit with “Don’t Let Your Deal Go Down,” which sold 106,000 copies at a time when it was estimated there were only 6000 phonographs in the southern U.S. With his band, the North Carolina Ramblers, Poole recorded sixty songs for Columbia. He died of a heart attack, probably aggravated by his long relationship to alcohol, in 1931. David Davis, long a well-regarded disciple of Bill Monroe’s music, with a deep family and personal connection to traditional bluegrass music, has, in Didn’t He Ramble: The Songs of Chalie Poole, moved further back in time to consider one of the most important antecedents to bluegrass music. In choosing Charlie Poole as the content of his current Rounder Records title, Davis has selected a seminal creator of traditional music, noted as an important precursor of the development of the banjo, and as one of earliest traditional mountain music performers to record widely, bringing his music to new audiences while taking it out of the confines of Appalachia. In Linthead Stomp, Patrick Huber considers the role of four seminal musicians in the movement of mountain music to mills in the southern Piedmont on the music’s journey to the recording studio, first in Bristol under the leadership of Ralph Peer, and then to New York where southern authenticity mixed with Tin Pan Alley commercialism to create a music industry requiring genres for its distribution. Poole’s recording predated Peer’s famous 1927 recordings known as the Bristol Sessions, recorded on a trip to Brisol, TN. Sammy Shelor, winner of the Steve Martin Prize for Excellence in Banjo and Bluegrass, told us the story one evening when we were camped near his home in Meadows of Dan, VA, about his direct relationship to Charlie Poole. He said his grandfather had owned a flour mill and “where there was a mill, there was a still. Where there was a still, there was Charlie Poole.” Poole, who died way too early of advanced alchoholism, taught Shelor’s grandfather to play the banjo. His influence on the development of modern banjo is pervasive. Here’s a recording of Poole singing Ramblin’ Blues. In Didn’t He Ramble, Davis has brought the music of Charlie Poole into the twenty-first century, while staying firmly anchored in the 1920’s of Poole’s music and in traditional bluegrass representations of earlier musical sounds and styles. Davis’ singing is modern in its natural tone and relaxed feeling. His mix and the musical styles capture Poole’s older sound in the fresh clothing of contemporary skills and play, with traditional bluegrass licks like, for instance, the band’s frequent use of the hoary but effective G-run attributed to Lester Flatt. The music, then, is an interpretation rather than an imitation of Poole’s music, which always deserves to be highlighted for anyone interested in the progress of bluegrass and country music from its earliest days to today’s outpourings of string band music with continually developing changes while often finding ways to bow to the pioneers who struggled to bring their music to a wider audience. In this tradition, David Davis’s contribution to keeping the music of Charlie Poole alive for a new generation is more than welcome, as is Rounder Records’ willingness to continue to focus on the roots, as it always has, of the music we hear in the music we love. This is Davis’ fourth recording under the Rounder label. Davis comes from a long line of traditional musicians in northern Alabama. His uncle, Cleo Davis was a member of the first edition of Bill Monroe’s Blue Grass Boys. The Warrior River Boys, begun in 1960 by Garry Thurmond, were turned over to Davis’ leadership in 1984. The current band includes Robert Montgomery, who served as co-producer of the current recording, on banjo. Other members are: Marty Hays on bass, Stan Wilmon on guitar, and Phillip James on fiddle. Here’s a video of David Davis & the Warrior River Boys playing Ramblin’ Blues. David Davis and the Warrior River Boys recording of Didn’t He Ramble: Songs of Charlie Poole (Rounder Records, 2018, $11.99/9.49) arrives at a time of transition in the history of bluegrass music, as technology, both recording and distribution, have become increasingly diverse, which demands attention to the music’s deep traditions and recognition of its changing nature. 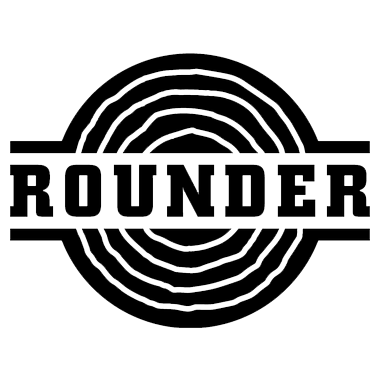 Rounder Records, throughout its long history, has achieved both goals. The current recording, beautifully recorded by Gary Gordon at Inside Out Studio in Sparta, Illinois, is filled with tunes, many of which have been part of the bluegrass repertoire for fifty or more years, but will find new ears and hearts in this recording. David Davis & The Warrior River Boys, Didn’t He Ram-ble: Songs of Charlie Poole. Listen to "CELEBRATE NC 07.24.18" on Spreaker.